Chika Unigwe is the beautiful author of the extremely interesting and critically acclaimed LNG prize-winning novel, On Black Sisters Street. That book is one of the best things I have read, but this is not about THAT book. It has fallen to me to offer my opinion on NIGHT DANCER, her second novel translated from Dutch. The scope of the book is remarkable, easily covering a period close to fifty years, and she manages to do it deftly, avoiding the ungainly elephant of the Biafran War that seems to be the curse of almost every writer of Igbo extraction writing about historical events. That is another remarkable thing. The character of Mma is confusing, or should I say confused, aching for a father so much that she hates her mother, and then finding out that the father isn’t all that. 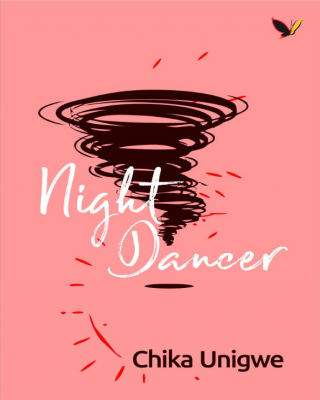 Ezi is a much easier character on the brain, easier to read and flow with, and the smoothness of her narrative, despite confinement to the pages of the memoir, makes me wonder what Chika’s nonfiction would be like. Mike is lovable, passionate, but in the end, he makes us wonder if the whole thing was a sham, or perhaps it is the entitlement mentality that many African males are bred with that shines forth. One is led to wonder what the real function of Madam Gold is in the novel, being that she seems to be a fat spider, sitting in the center of her web, giving Igbo-sprinkled advice and extricating handkerchiefs from in between her generous breasts to mop her face. But it is Rapu, the villainess of the story, who really shines through. With loving, living, fighting, and a sense of destiny, she is easily the most readable character in the story. And we like her for it. At least till the later parts of the book. Who says you can’t like a villain? Judged by itself, the book is well researched, competent, straightforward. But it is when it is placed beside Chika’s earlier offering that its flaws become most evident. It is not classic, but it will do. A lot of us have that role model elder sibling who is always proper, spick and span, dotted and crossed. A harried mother shouting, “why can’t you be like _________ (insert the very proper older sibling’s name) is not a big mental leap, and for the sake of climax, I would advise that one reads this book before reading OBSS. Else, the sense of anticlimax will be inevitable. Another noteworthy connection may be that in OBSS, Chika perhaps thought in English, wrote in English, then translated to Dutch. For this one, she wrote in Dutch, as her fluency had increased somewhat, and then translated to English. Perhaps. It can be quite an effort trying to be understood when you are bilingual. Languages are like that. I confess to being curious as to what the original Dutch manuscript must have read like, because I fear this is a fire that has had much of the heat lost in translation. But I cannot read Dutch. *Eye Kay Nwaogu is a writer, born in Nigeria, brought up all over the place, and chasing his dreams. He writes nonfiction, book and music reviews. But when he is writing fiction, his heart sings loudest. He is a lover of travel and food, and when he is not writing, he is seriously thinking of what to write, or read.